By all appearances, the reality of the potential impact of the famed sealed indictments has finally begun to set in. Naturally, this development has left many truthers with a new sense of hope and expectation for the coming days in what could be an event so monumental, the experience may be difficult for us to completely comprehend. In fact, according to recent disclosures from the District Court of Washington D.C., this impending event may be much closer than any of us realize. Like any significant revelation, this recent unsealing of legal case details presents more information than any one of us may be able to handle in just one sitting. This level of informational release has a way of obligating us to sit and intently examine the details of the vast amounts of data disclosed. In truth, this element of irony within the recent docket release may actually help us to realize the true impact of the data disclosure that many of us are hoping to see. Upon encountering the massive collection of information published by the D.C. District Court, many of us may be left asking, "Just how am I supposed to digest all of this new information?" This question, in many ways, exemplifies the conundrum that lies within any mass disclosure event. On one hand, the bulk divulgence of decades-worth (if not centuries-worth) of hidden truths—all of which affect humanity in significant ways—may be one of the most beneficial events of our lifetime, if not our entire age. On the other hand, informational data dumps of this magnitude bestow upon all of us the responsibility to carefully examine the fine details of this data to ensure that it is sound, reliable, and consistent throughout. In this, we realize the opportunity and responsibility we each have that prior to any major disclosure event, we prepare ourselves to be able to examine and digest the virtually insurmountable plethora of information that awaits us the moment the long-expected unveiling occurs. Most truthers who have been paying attention know that the wheels of justice are very much turning at this point, and visibly. However, for those who may still need a bit of convincing, there is plenty of evidence which suggests that massive and productive changes are well underway. After all, there would not be much of a point for the president to make so many explicit and implicit declarations of emergency without immediately authorizing action to remedy each respective situation. In addition to the previously mentioned declarations of emergency, we might remember the hundreds of former CEOs who have all vacated their cushy high-paying jobs in only a few months' time. For some unspecified reason, these executives and political figures all participated in this mass exodus from their positions of influence. Though several reasons were presented to the public for why all of these figures simultaneously resigned, the reasons suggested by the 8Chan source, Q Anon, stood out. But… interestingly, if nothing is being done behind the scenes, why are many ‘powerful’ CEOs, members of Congress/ Senate, resigning? Coincidence? Example: Pre_POTUS did the SPEAKER OF THE HOUSE indicate wanting to leave politics? But… interestingly, if nothing is being done behind the scenes, why are human trafficking arrests SURGING? Nothing to See Here. The point that Q makes in this statement seems clear. To see further proof of these resignations, all we need is to examine the laundry lists and statistical analyses—dating back as far as 2015 up to the present—of all of the CEOs that have suddenly resigned. We may note that here in 2018 alone, there have been upwards of 800 resignations of CEOs, and the numbers keep climbing. For these details, see the links below. CEO Departures (2010 to 2016) Challenger, Gray & Christmas, Inc. These resignations come in tandem with a variety of other signs which further suggest that a staggering amount of justice is either being served, or is about to be served in a very public and impressive way. This includes a list of present and former government officials which Q Anon acknowledged as either being ousted or severely penalized for their misconduct while in office. You can find that post—along with further extensive evidence of legal progress toward Cabal arrests—here. Both Q Anon and the above sources help to prove that our current societal, national, and global situation are not at all normal in the ways we may have previously assumed. In fact, these conditions—as flexible as they may be—may progress to becoming even more unpredictable than ever before. Yet during this process, it will be important for us to know that in overthrowing a globally influential group of crime syndicates, the plan must remain flexible in order to be effective. Consequently, we cannot know every step of the plan prior to execution. Even still, we do know that by all appearances, the Q group is now intent upon quickening the pace of these disclosures and prosecutions. 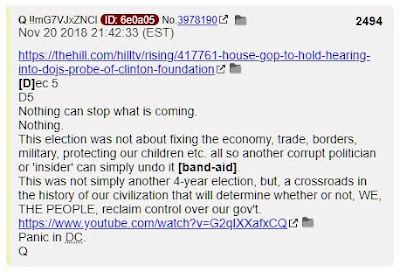 Recent post suggest that those behind Q are very much intent upon rapid progress at this point. Yet even though this information is vital to proving our point, it is still only a small portion of the true significance of our present juncture in history. 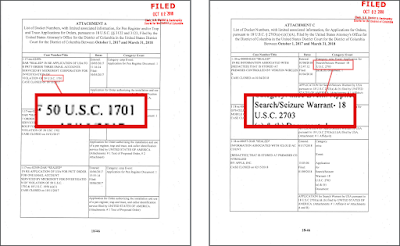 In the last article, we discussed two different subjects disclosed in the recent docket release. These included the concept of trap and trace orders, the powers of a president during national emergencies, and the overall authorities granted to the president during these dire national situations. One of the main reasons why these disclosures in particular were vital to reveal to the American public is that the moment these indictments are served, many conditions in our country will change in rapid succession. In a sense, these changes may seem restrictive, but only for a short period of time while the parties of interest are being apprehended. This is important for all of us to know because there is a very good chance that when these emergency procedures are implemented, the Cabal-controlled media and their various outlets will most likely attempt to spin the story to claim that President Trump is pulling a Hitler and attempting a hostile takeover of the American establishment. "We tried to warn you!" they'll say. However, as we can see here, these conditions are clearly addressed within American legal code. Therefore there is no rational reason to panic or to claim that any hostile takeover is occurring when these pre-established legal codes are being acted upon. Granted, it may be important to keep a close watch on events which unfold following any major announcement to ensure that these codes are properly respected. Aside from that, there is little need for any of us to panic in any way when we see standard American laws being enforced. Moreover, there is a good chance that as of this moment, many of these laws based upon the aforementioned emergency situations are already being acted upon as we speak. As we covered previously, the docket release shows us a number of charges which will likely be brought against active Cabal members in their attempts to sabotage and to overthrow the American government and possibly the whole of Western civilization. These charges are extensive and have been clearly defined within U.S. legal code for decades. Consequently, there is not much of a way for these Cabal members, through any legal means, to excuse away their deliberate attempts to attack the United States. It is possible that turning state's evidence may help a handful of Cabal cronies to avoid extensive punishment, but that depends upon whether or not prosecutors need any further information at the time the charges are brought against offenders. The legal details we intend to cover here are somewhat different than those of the previous post. There were a large and highly impacting number of charges discussed within the docket release—all of which may be so far-reaching that it may be difficult to find many clear and innocent parties currently serving in office. This situation of extensive government compromise may make it extremely difficult to separate the deliberately guilty from the unfortunately implicated. The upside to this difficult situation is that when any guilty party does turn state's evidence, they may be among the most cooperative snitches the world has ever seen. To review, we intend to examine a number of key points from the D.C. District Court docket release. This release gives us every code pertinent to the charges which may be brought against Deep State/Cabal interests upon the unsealing and service of the indictments. The first code we will cover is one of several pertaining to the illegal handling and exchange of money and property, and may actually be familiar to us, in that it was mentioned in the previous post. This was regarding the recent executive order from the president to halt and confiscate the financial assets of any significant party or organization found to be engaged in crimes against humanity (executed December 21st of last year). Initially, the following legal details may seem somewhat trivial. However, the combination of the corresponding legal charges appears to be designed as a foundation for the executive order which President Trump implemented on December 21, 2017. In basic terms, money laundering is the act of engaging in illegal transactions while hiding the fact of illegality. In other words, the perpetrators of laundering will commonly attempt to make their illegal transactions appear legal so as to avoid prosecution. However, in modern times, it is very difficult even for corrupt elitists—whether in the political or the corporate world—to completely hide their treachery. The following code directly pertains to the laundering of money—one of many that are addressed in the D.C. docket release—and also covers the basic principles of the 2017 executive order titled the Executive Order Blocking the Property of Persons Involved in Serious Human Rights Abuse or Corruption. It is no small punishment to be fined $500,000 and/or imprisoned for twenty years. This strong reaction to the act of money laundering may be due to the fact that this crime could potentially pervade multiple facets of government in a very short period of time. If this issue were to go unpunished, it would be far too easy for criminal interests to infiltrate numerous offices of government and to eventually overthrow nearly every standard which the U.S. Constitution was originally designed to uphold. According to our present situation, this crime of money laundering appears to have become so common that this bold and brazen effort to overthrow the Constitution is actually taking place. We can see evidence of these efforts through nearly every facet of the establishment—within multiple corporations and their associated lobbyists, in media, and within nearly every branch of government. We will discuss more on these subjects in a moment, but for now, let's continue on the subject of financial crimes and possible charges against the Deep State. Now, we touch upon another normalized crime that is allegedly so common within modern American government that most officials no longer consider the act to be detrimental to their career. This is, of course, the crime of bribery. (3) directly or indirectly, demands, seeks, receives, accepts, or agrees to receive or accept anything of value personally for or because of the testimony under oath or affirmation given or to be given by such person as a witness upon any such trial, hearing, or other proceeding, or for or because of such person’s absence therefrom;shall be fined under this title or imprisoned for not more than two years, or both. This crime of bribery is well-known in colloquial language. In fact, we may find it difficult to find any public official (or an average person for that matter) who does not understand the act as criminal. However, in many cases, the unethical nature of this act does not stop officials and lobbyists from indulging in it on a regular basis. It is common for the socially accepted version of bribery to be committed in open air within modern politics. As long as a lobbyist or corporate representative donates funds to the personal charity of the public official they wish to influence, there is supposedly no illegality behind such transactions. It is not until the public official is caught using their charity funds for personal exploits that the act known as embezzlement is committed. As we may know, within these questionable transactions, politicians may be given thousands of dollars by any number of corporate representatives. 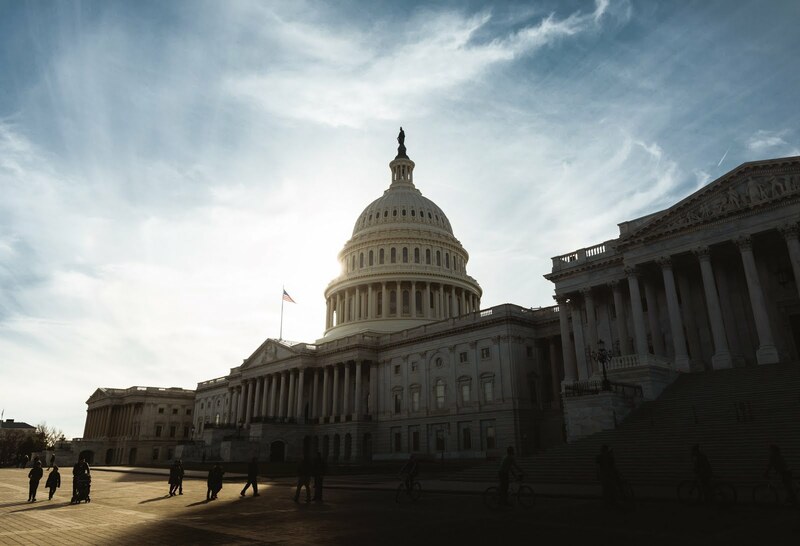 In return, the public officials are expected to create policies that either indirectly or directly benefit the corporation associated with the lobbyist. We might remember the mentioning of these tactics from the recent and apparent political stunt attempted by anti-2nd Amendment advocates to demonize manufacturers of firearms by claiming that these manufacturers were the sole perpetrators of lobbying in general. However, as we know, this questionable activity is commonly participated in by nearly every large corporation in the modern United States. Though some businesses may actually serve the public in some way, the act of bribery is not an ethical means of conducting business. If these acts are as common as we assume, it could be that the coming indictments may command a large percentage of government officials to resign, granted they are not arrested and sent to prison beforehand. The next code we are to discuss applies directly to the financial crime of embezzlement and is similar to the codes discussed above. In general, this is the destruction of evidence of a previously committed infraction. When we consider the likelihood that this crime was intended to serve as one of many charges against Deep State criminals, we may realize its potentially immeasurable impact on the impending legal case. The word “value” means face, par, or market value, or cost price, either wholesale or retail, whichever is greater. When we consider the previously discussed legal codes and then combine these with that of the destruction of records, we begin to realize how each of these crimes may commonly run in tandem with one another. Take this example for instance. A corrupt public official is given charitable donations in exchange for a number of political favors. They then embezzle the funds—using them for personal gain and then fix their books to create the appearance of upright financial practice. This official may then shred the documents related to their dirty dealings or possibly destroy a stack of computer hard drives so that no one could learn of their crimes. In this way, this collection of crimes may typically be committed in succession to allow corruption to go undetected by authorities. In fact, considering the level of corruption which is claimed to currently exist within the U.S. government, this method of crime and concealment may be commonly known to any public official that is experienced in financial crimes. Moreover, this collection of crimes is alleged to have been committed by Hillary Clinton and an entire gang of corrupt public officials in one of the largest examples of organized crime in recent history. This syndicate of organized crime may actually be among the most significant of reasons why the recent docket release and the overall situation of sealed indictments was composed to begin with. Just What Is Media Fraud? Yet with all of this in mind, there are still two other legal codes which may reveal to us the true extent of the crimes committed by the Deep State/Cabal. The first of these to cover is that of fraud by wire, radio, and television. Whoever, having devised or intending to devise any scheme or artifice to defraud, or for obtaining money or property by means of false or fraudulent pretenses, representations, or promises, transmits or causes to be transmitted by means of wire, radio, or television communication in interstate or foreign commerce, any writings, signs, signals, pictures, or sounds for the purpose of executing such scheme or artifice, shall be fined under this title or imprisoned not more than 20 years, or both. 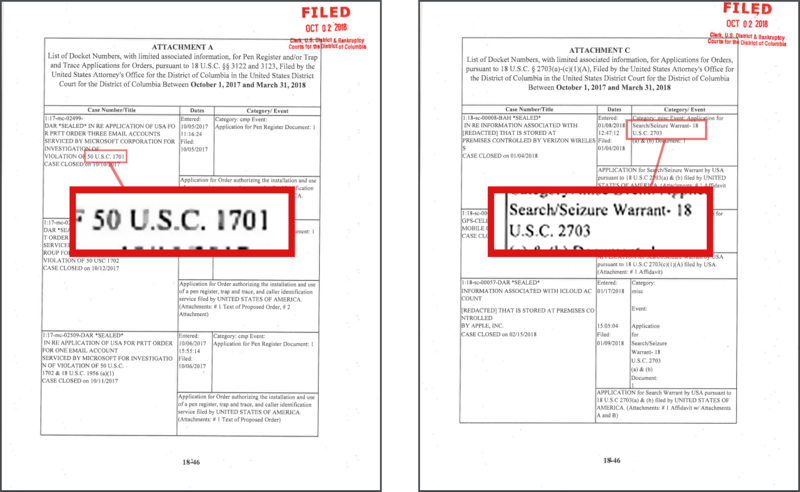 If the violation occurs in relation to, or involving any benefit authorized, transported, transmitted, transferred, disbursed, or paid in connection with, a presidentially declared major disaster or emergency (as those terms are defined in section 102 of the Robert T. Stafford Disaster Relief and Emergency Assistance Act (42 U.S.C. 5122)), or affects a financial institution, such person shall be fined not more than $1,000,000 or imprisoned not more than 30 years, or both. This code may appear to be somewhat short in length. However, its implications may be monumental in scope. Of course, the crime of fraud is defined as, "an intentional misrepresentation of material existing fact made by one person to another with knowledge of its falsity and for the purpose of inducing the other person to act, and upon which the other person relies with resulting injury or damage." This crime of fraud can also be committed through "an omission or purposeful failure to state material facts" which can change the original meaning of the message causing it to be misleading. We may not be immediately aware of the monumental significance of this legal code in our present time. Even still, this significance does very much exist in one particular situation (among many others). Do you know what it is? Think "fake news." Let's consider the copious amounts of smearing, distortion, and misrepresentation which the corporate media has visibly and provably promoted against the president since before Trump ever took office. Before the president ever made a single statement, signed any order, or made any decision whatsoever, the corporate media was busily predicting and in many cases, even hoping for his complete and utter failure. It is not difficult to think of numerous examples where supposedly professional news sources overtly omitted key facts in their reports which grossly misrepresented the news stories they produced. Companies such as CNN, CBS, ABC, and the majority of cable and network news have made clear their intent to distort any and every story in order to damage the image of the president and his administration. It also seems apparent that these news sources aimed to agitate the American public into hate and violence directed toward all things related to President Trump. We have clearly seen these intentions demonstrated in reports on the president's views on immigration in which news reporters either deliberately put words into the president's mouth or communicated negative interpretations of the president's statements instead of the statements themselves. This blatant distortion and disrespect has been clearly visible in reports of North Korea, the president's position on unregulated immigration, the administration's actions against child and human trafficking, and of course the tired narrative of Russian collusion. To this day, this level of propagandistic attack has never been attempted by any media source against anyone, let alone a United States president. Until now, such disgraceful examples of reporting have been acknowledged as being rude, distasteful, juvenile, and grossly unprofessional, especially in a setting of blanket media coverage. Yet to this day, numerous MSM sources have held fast to these destructive methods without wavering and with little to no apparent concern for the consequences. The overall level of malice which the MSM holds against the president seems to suggest a concerning level of insane self-destructiveness among media personalities. To add, these intentions of distortion and instigation of violence have been reinforced through Hollywood personalities, figures in the music industry, and a number of other celebrities who seem to have no problem suggesting intent to assassinate the leader of the free world. The corporate media has provably been weaponized as a tool of psychological warfare. For decades, the general public has been the main target of these psychological attacks through this media. However, in more recent times, this tool of psychological control has especially focused upon poisoning the minds of audience members against the president. This is most likely because President Trump and the military powers that support him hold the potential to overthrow the sadistic control structure of the Deep State/Cabal which controls the MSM. At this point, the suggestible masses have been so thoroughly distorted in their perspective of society in general that it seems nothing can convince them to change their minds. The half-truths and big lies which have been promoted for the past two years have been so effective that many people have no interest in learning the rest of the story. By all appearances, those behind the corporate media along with the elitists who control the narrative in Hollywood and entertainment are intent upon sabotaging the image and the operations of the White House in general, and to destroy all respect for the rule of law in the United States as a whole. Overall, the above legal code answers a very pressing question: What is the consequence of causing an entire country and its government to suffer damages from a gargantuan conspiracy of media fraud? Consider the possibility that the media circus we have been subjected to for two years straight was actually the deliberate commitment of several news personalities from multiple companies who knowingly committed federal crimes in front of a national and international audience. The act of these people to engage in such bold crimes comes across as suicidal behavior. Under normal circumstances, criminals do everything they can to hide their crimes from authorities and the public. Obviously, these crooks do so in order to avoid getting caught and facing prison time for their trespasses. However, in the case of multiple reporters who have provably and actively delivered false statements and half-truths to millions of people for two years straight—statements which were intended to cause outrage and public disdain for the American president—it seems as though these reporters cared little or nothing about the dire results of their crimes. It is possible that those behind the allegedly corrupt MSM establishment are so desperate to sell their story—seeing that public attention is all that has kept them out of prison at this point—that they no longer care about what is true and what is not. 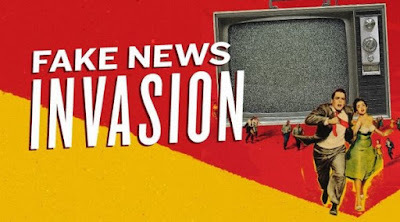 They may believe that as long as other corrupt news agencies are selling identical propaganda, that they are safe in joining the conspiracy, and that the only thing keeping these propagandists afloat is their commitment to the lies they have so faithfully upheld. However, similar to a bank that hands out thousands of bad loans to clients, such bad policies will eventually catch up with them. The people will inevitably realize that they've been scammed and when they do, they will clean out every last penny from the crooked bank, leaving the scammers with nothing to look forward to but their own impending arrest. Could it be that for the past two years, the president's gripes about fake news via Twitter and in various speeches were far more than simple gripes? It very much appears so. These comments which the corporate media predictably ridiculed and dismissed—may have been indirect addresses to the public and to authorities who were faithful to their oaths that an emergency situation exists within various facets of the compromised, Cabal-controlled media. To restate a point from the previous article, it is very likely that the president and possibly other official parties have used President Trump's Twitter page as a sounding board for future official actions intended by the Alliance. Though the corporate media seems to do little more than ridicule every statement made from the president's Twitter feed, it seems very likely that this covert means of communication was chosen due to the gross criminal compromise of mainstream news. It has been significantly apparent to many conscious Americans that the corporate media is not at all what it claims to be. The overtly propagandistic nature of this media denotes a rather dire situation of a multi-level attempt at sedition and treasonous overthrow of a duly elected president and government as a whole (minus the corrupt leftovers from the old-guard). If the above legal code forecasts the intentions behind the impending sealed indictments, we may very well see a swift clean-sweep of the corrupt corporate media establishment. Yet with this in mind, it is important to remember one point we have previously covered. The fact that these laws are clearly stated standards of the U.S. Legal Code reveals to us the fact that the crimes therein require direct attention any time they are committed. Contrary to any possible narrative of recent MSM propaganda, to enact justice against violators of these laws is not tyrannical, fascist, or dictatorial in any way. These laws were created by a constitutional republic in order to maintain order within that republic, and the fact is that when these crimes of fraud and deception go unanswered within any establishment, they endanger the stability of society in general. We may note the fact that at present, these crimes have become so normalized that all attempts by governmental officials even to discuss them have been met with violent attempts to overthrow the United States entirely. According to all observations, this chaotic situation appears to have been the deliberate intent of those behind the corporate media along with multiple members of previous administrations. We might keep in mind that there are numerous other examples of fraud committed by corrupt media figures, Hollywood personalities, and government and intelligence officials. Each of these facets of society appears to have been weaponized by the old guard in order to sabotage the current administration regardless of what the administration is actually doing. These efforts of sabotage stretch from news to entertainment, government, and many other areas of the establishment. Consequently, the investigations and indictments which were based upon possible fraud charges may be so far-reaching that no aspect of society will remain untouched. What may be equally substantial are the possible indictments which focus upon a particularly heinous detail related to the crimes we have discussed here. These are the crimes of conspiracy and the sexual exploitation of minors or 18 U.S. Code 2252. According to numerous sources, these crimes have been normalized within the corrupt facets of government not only in America, but within elitist circles around the world. These atrocious acts are committed against children particularly because of the heinous nature of these acts. In other words, pedophilia is used as a tool of blackmail as well as a perk for elitists. As long as corrupt officials (and in many cases, celebrities) keep their mouths shut about their other illegal activities, they are granted immunity from prosecution while enjoying their time of exploiting children. If they decide to blow the whistle, these corrupt officials are outed as being pedophiles themselves and are made to either face trial or they are simply humiliated in order to keep them in submission. If all else fails to silence these former offenders from speaking out, they are simply killed. It is actually these crimes of pedophilia, human trafficking, and exploitation which tie all of the other topics together. The fact that each of these atrocities is being directly addressed through the District Court disclosure suggests that the Trump administration and their supporting military Alliance are intent upon putting the recent executive order to work. By all appearances, the application of 18 U.S. Code § 2252 (along with all of the codes we have discussed here) is imminent. In fact, the inclusion of this code in the docket release suggests that the coming indictments will actually be thorough, and will cover the entirety of crimes the Deep State/Cabal has been engaged in for decades. We still have yet to cover this particular legal code. In the meantime, we have a few questions hanging over our heads: What will be the consequence for those who knowingly launched a false investigation into Russian interference of the 2016 election based upon fabricated evidence? What is the consequence for those who deliberately weaponize multiple government agencies and offices against the president, falsify official documents, and use corporate media as a psychological weapon against the people to promote their own false narrative as the truth? We may soon find out.